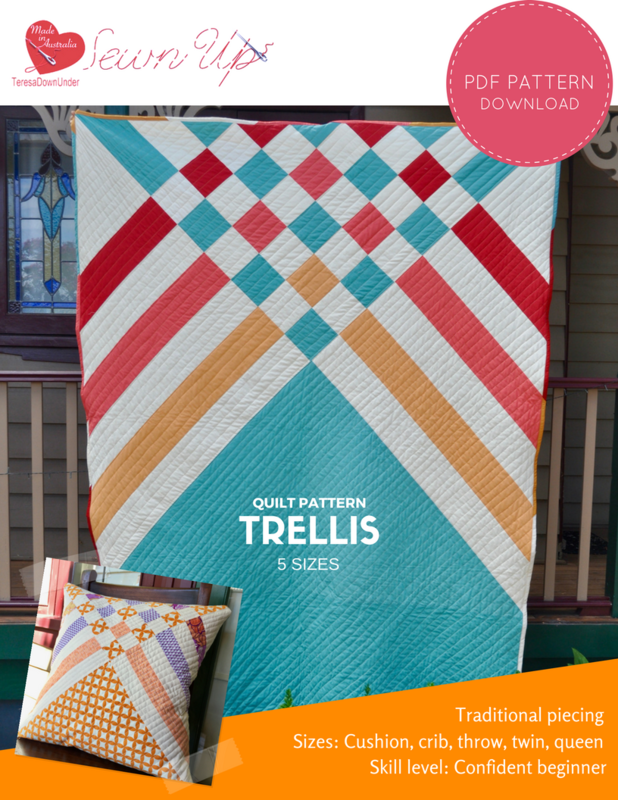 Trellis is a quick and easy modern quilt pattern suitable for beginners. This quilt has no Y seams to deal with. It works just as well with solids and print fabrics. 5 quilt sizes: Cushion, crib, throw, twin, queen. In the 15 page pattern I have included lots of colour diagrams as well as written instructions. Bonus: links to relevant video tutorials, alternative colour schemes as well as a quilt colouring page. I hope you like my quilt and enjoy making it.